Product code: ES2714 Categories: Sold Items, Sold Jewellery. 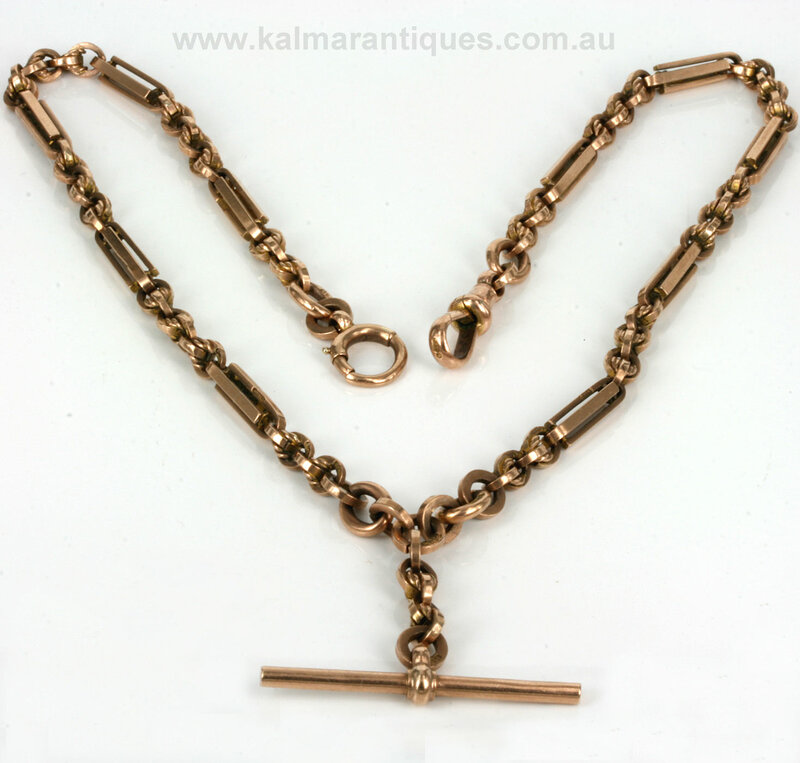 The Albert chain, or Prince Albert chain as it is also called was designed in the 19th Century for Prince Albert, Queen Victoria’s husband to fit through a waist coat and hold a pocket watch on one end and the key to wind it on the other. However in the early 1900’s with the increase in popularity of wrist watches, the gentleman of the house put these chains down and started to wear the wrist watch. The wives being as savvy as ever, realised that it was silly to leave a chain lying around the house, resulting in these Albert chains to be worn around a woman’s neck today. 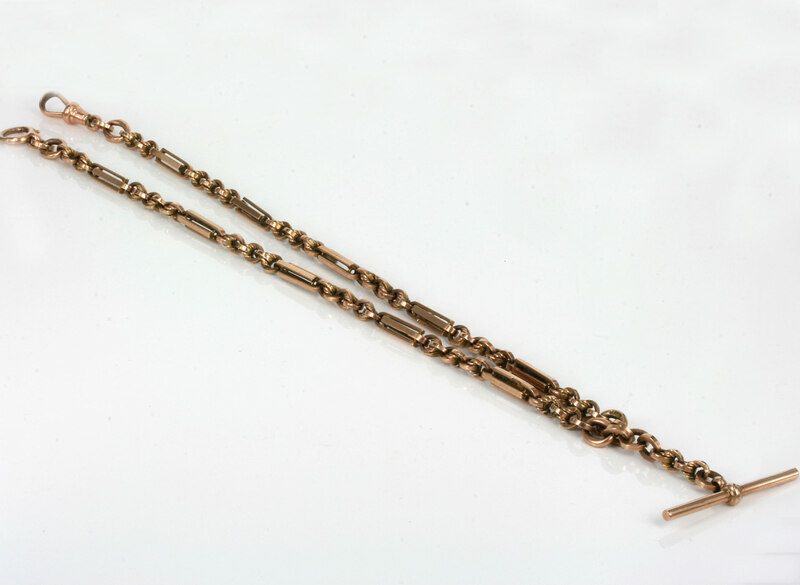 And here is a fabulous antique Albert chain that is in excellent condition and made in a fantastic design. Still easily able to be worn to hold a pocket watch, this Albert chain can fit around a woman’s neck as it measures 41cm in length. Made in 9ct rose gold the colour of the gold is so warm and delightful to admire both on and off the neck. This antique Albert chain is all original and has not been spoilt or altered as many on the market today have been. Often antique Albert chains have had later extensions added or each length of chain does not match each other so it is lovely to be able to wear one that is all completely original. Typical of antique English made Albert chains, each link is stamped and still in superb condition and can so easily be worn every day. 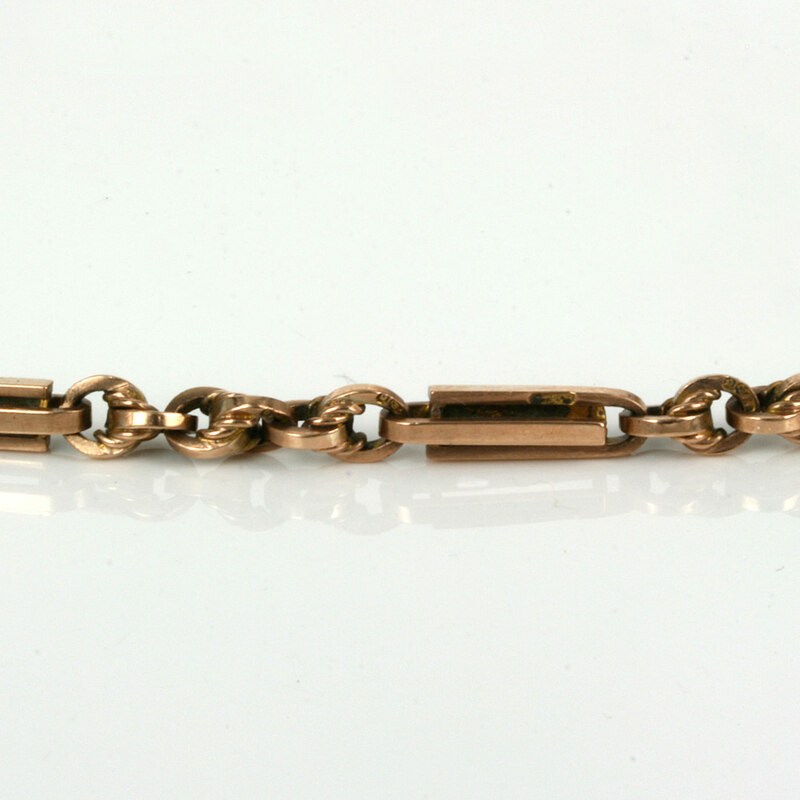 A wonderful antique rose gold Albert chain that will always be loved and treasured.